Marriages made in heaven often break up on earth. It is rather like God proposing and man disposing off the divinely ordained relationship. The ancient institution of marriage despite its undisputable life long benefits is crumbling due to the inability of the partners to maintain the warmth and understanding in their relationship. The result is the avoidable divorce and the attendant problems of litigation, tension, alimony, children’s maintenance, their present and the future. Above all it is the unbearable emotional trauma generated by the betrayal of trust and confidence. Added to it is the mortification born out of your wisdom and judgment proving false plus the loss of hope and faith in your future. If you are a married person petrified by some similar unenviable predicament and nagging questions and are thinking of jumping over the fence, it is time for patient and cool meditation and introspection over the gamut of your relationships with your spouse. It is always advisable not act rashly and repent later as your own judgment is likely to become skewed, egoistic and subjective in the heat of resentment. 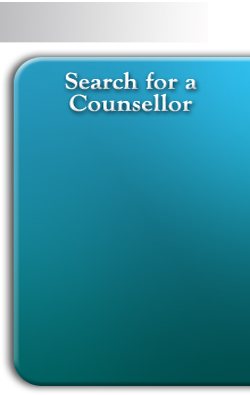 You should seek the services of some trained, qualified and experienced marriage counselor. He being professional and objective can provide you the necessary support and motivation to live peacefully and happily with your spouse. Since you are involved as a party to a dispute, it is difficult for you to think objectively and empathize with your spouse. Our ego becomes so strong and powerful that we refuse to introspect objectively and when reminded of our own weak points, we run into paroxysms of rage. A professional marriage counselor possesses the knack of an expert doctor or a kind guru pointing his finger at your ailing points eliciting your introspection and understanding rather than resentment. He can show you the consequences of your rash, biased and self centered thinking. Or, he can explain strategies to bridge the gaps in understanding and trust. He can make you visualize the benefits of living together and also the consequences of breaking up. May be he can sow the seeds of compassion, understanding and sympathy for the human infirmities and that too of a person who is not just anyone or everyone, but one who has been very special to you and who is an important link between you and your children; whose presence in your family is vital for the welfare of your beloved children. He can guide you to look at your life and problems with new and different perspective. The marriage counselor has already seen many situations similar to yours. Even if your problem is unprecedented, singular and unique, he has the experience and wisdom to devise new and creative strategies to resolve it. If you avoid him to save money or just neglect him as of no use to you, your feelings of hurt from your marital relationship may aggravate into paranoia, depression, panic and numerous other serious mental and physical problems. A marriage counselor can, with his objectivity and experience, help you to look at the assets or the positive points as against the perceived liabilities and negative points of your spouse’s nature and draw a balance sheet. Quite possibly some allegedly negative side may actually be an asset if considered from a different perspective. A talkative partner may be source of liveliness, energy and dynamism in the monotonous and graveyard silence in your house. Your sleepless spouse may guard your house against burglary at night. Your wife may look after your children and save in payments to careless and callous baby sitters and smilingly welcome you with fresh hot cup of coffee on your return home after the day’s hectic schedule. Your marriage counselor may thus create new and helpful perspectives on a situation that you consider too problematic to live with. He may invite both of you to hold a conciliatory dialogue and act as a moderator. How Can Marriage Counselling Benefit You and Your Spouse?